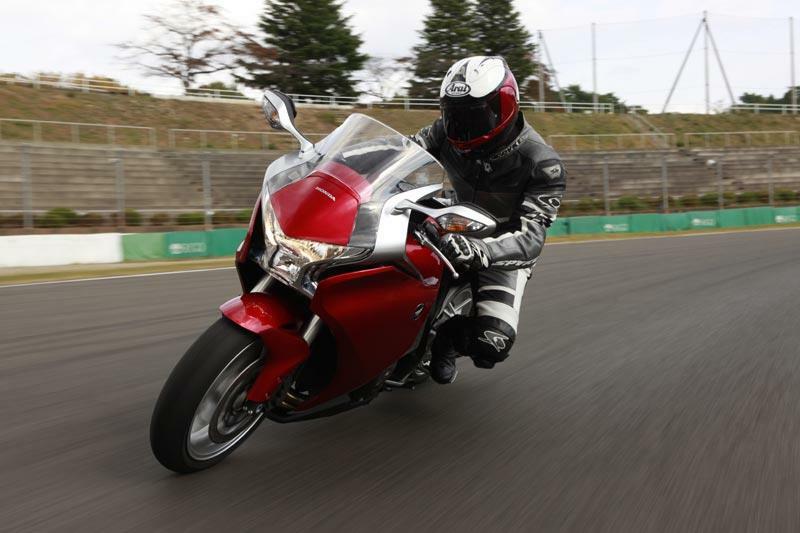 The new VFR is a good bike – but it’s not a great one. And after all the hype and expectation (Honda themselves are pumping it up as “the Ultimate Road Sports Motorcycle” and it’s simply not) that is not good enough. 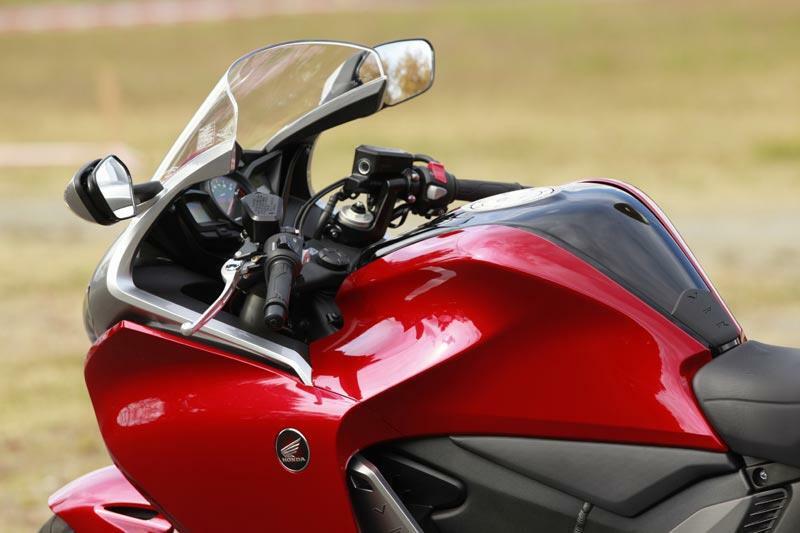 Logically, to justify it's price, the VFR should offer abilities and specification head and shoulders above all others. It doesn’t. 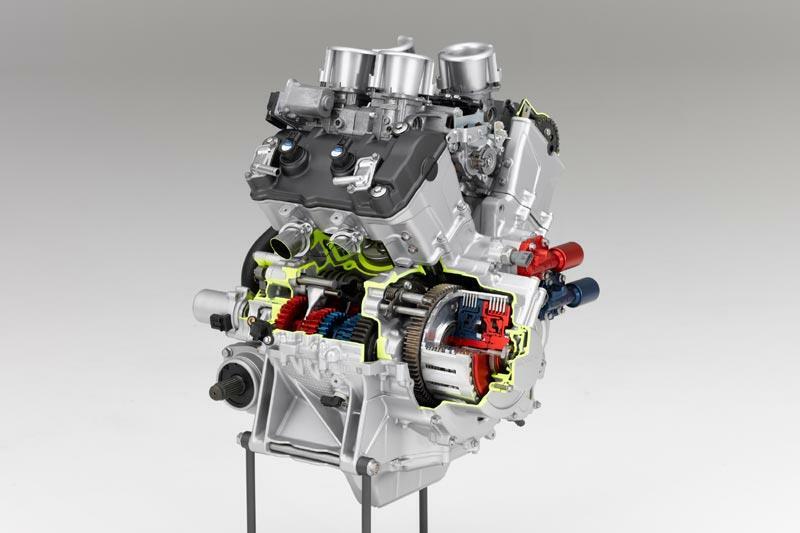 Although the basic powertrain, complete with V4 character, stability and build quality impress, there are simply too many niggly faults or omissions to be ignored. The tank is too small, the switchgear baffling, the instrumentation too basic, the touring accessories not good enough. It shouldn’t be that easy to find fault with a flagship machine. 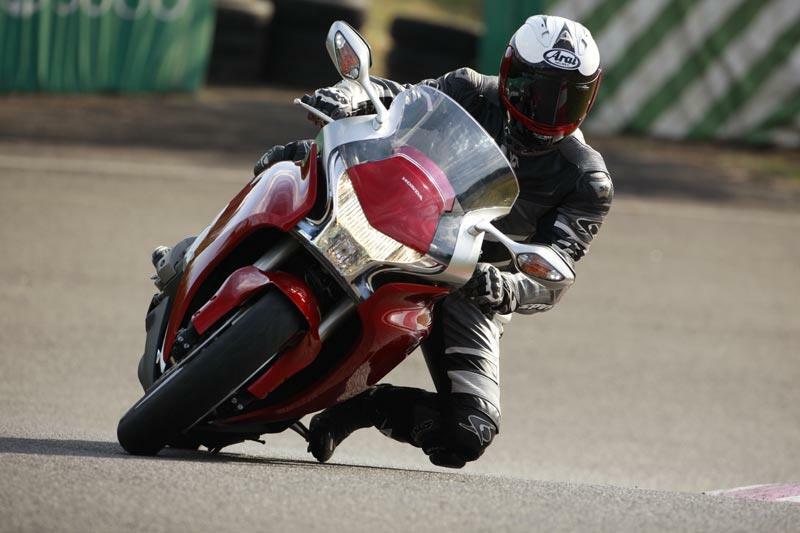 The Honda VFR1200F’s cast twin spar frame, shaft-drive and combination of decent but not outstanding 43mm preload adjustable USD forks and Prolink monoshock rear offer excellent stability and ride comfort but, at a big 276kg, the VFR12 is no sports bike. Despite the low and nicely waisted seat, you never lose the impression that this is one big, heavy bike. Steering is slow and laboured, ABS brakes are decent but lack the finesse and precision of latest Blade system. 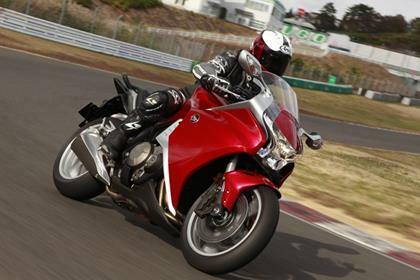 The Honda VFR1200F’s all-new 1237cc V4 is immensely grunty and flexible and retains characteristic V4 exhaust bark. You never need approach 10,000rpm limiter/redline but if you do it (almost) howls like an RC30. On the downside there’s a slight buzz in the crotch around 4-5000rpm cruising speed there’s little Blackbird/ZZR/K13-style top-end rush and the gearbox is sometimes vulnerable to false neutrals or is reluctant to perform 1st-3rd shortshifts. The Honda VFR1200F’s finish is impeccable, in typical Honda fashion and, in truth, Honda has moved the game on with both the VFR’s superb paint finish (the result of some clever new technology, apparently) and novel ‘layered’ fairing design, which does an excellent job of both cutting through the wind and venting engine heat away from rider. Must be terrifyingly expensive if it falls off its sidestand, though…. 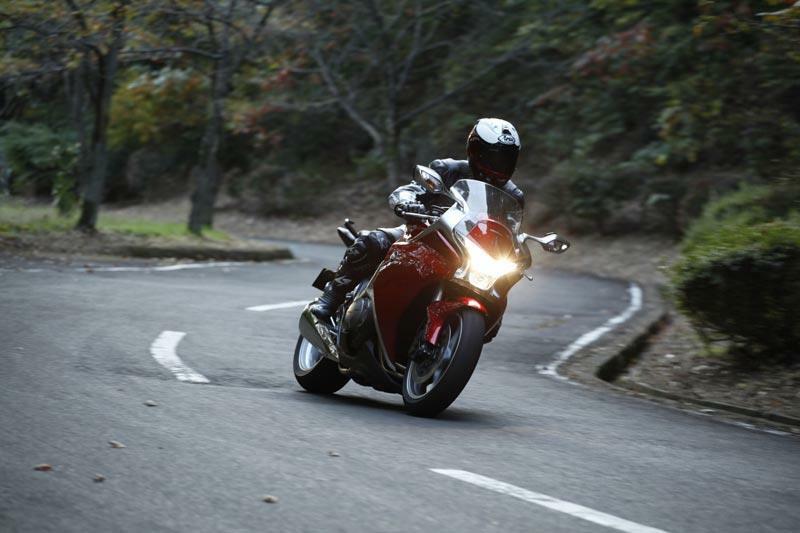 The Honda VFR1200F’s price at launch was universally criticised as being too steep which leaves us wondering who’s going to buy it. At £12K a bike’s got to have major league appeal to win customers and I just don’t think the new VFR has it. 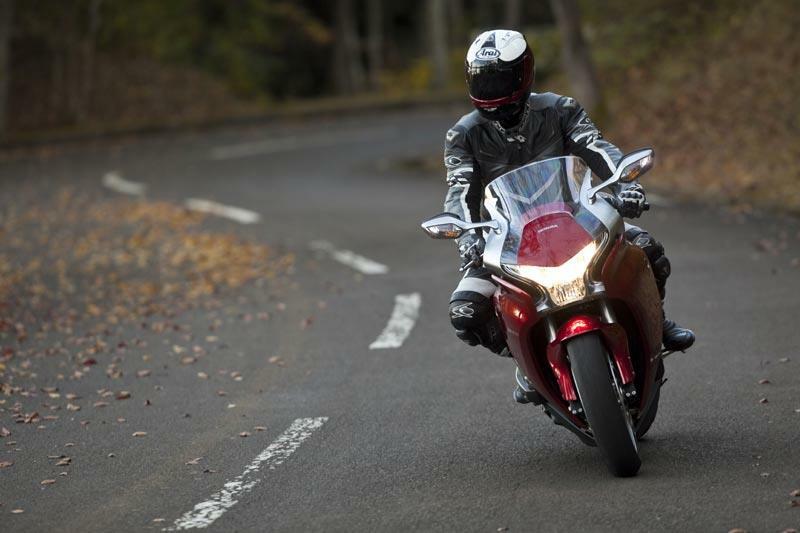 If you want a mile-eating sports-tourer BMW’s K1300S and GT both offer at least as much ability and fewer niggles for the price; Kawasaki’s ZZR or GTR 14 more performance and technology while a Ducati or Triumph more character and sporting ability. 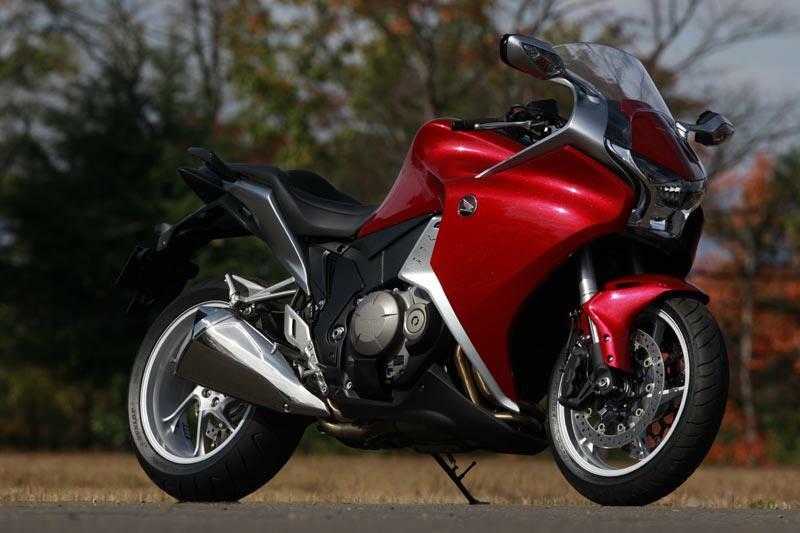 Find a Honda VFR1200F for sale. 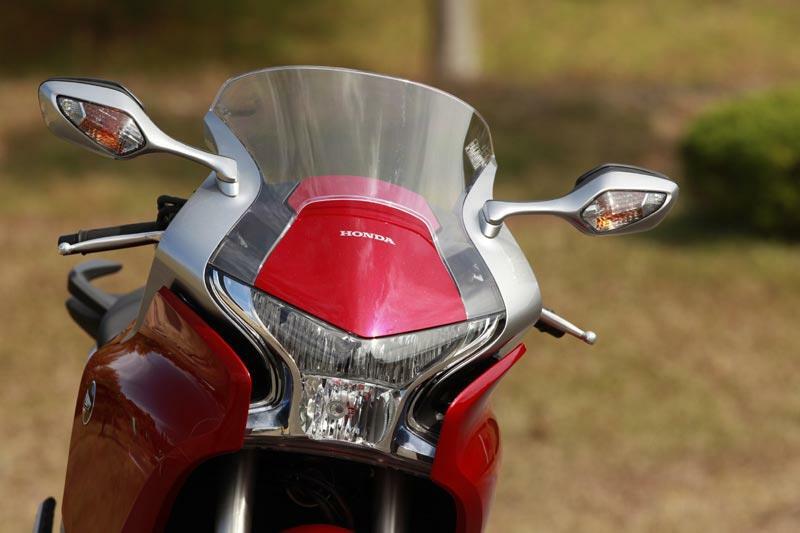 On face value the Honda VFR1200F is decently equipped – but the damning’s in the details. ‘Transformers’-style instrument display boasts LCD gear indicator, fuel gauge, clock etc, but lacks ambient air temp, mpg etc of latest range-topping rivals. 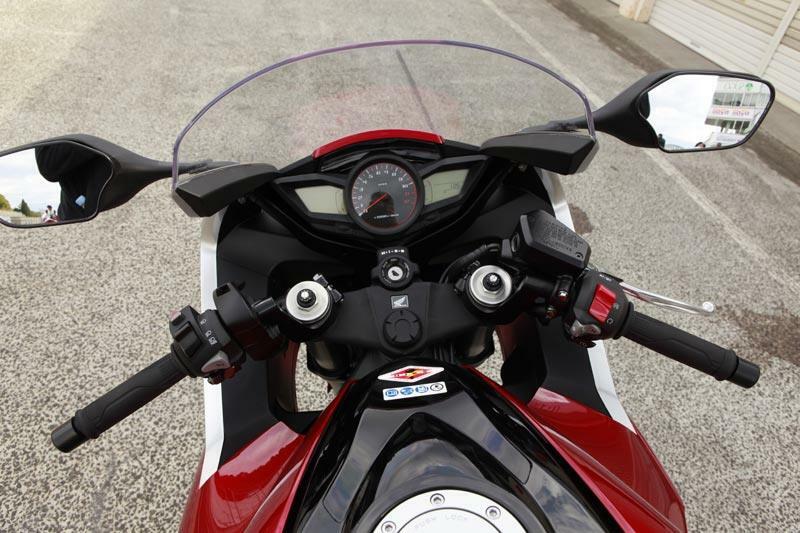 There’s no traction control, electric screen or electronic suspension adjustment, a centre stand is an optional extra and, worst of all, Honda in its wisdom has decided to reinvent the wheel with its new switchgear design by enfuriatingly repositioning the indicator toggle under the horn. 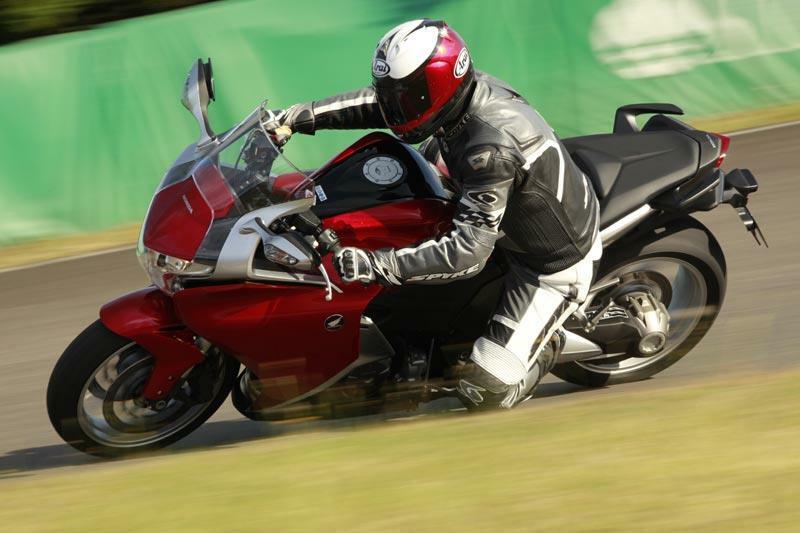 19 owners have reviewed their HONDA VFR1200F (2010-2011) and rated it in a number of areas. Read what they have to say and what they like and dislike about the bike below. I find myself feeling rather protective of these bikes. They are fine machines but with a number of niggles that mean they don't suit everyone. Some of the press coverage has been harsh, perhaps understandable given how expensive they were new, but second hand the quirks are much more forgivable. I've owned mine for two-and-a-half years and 25,000 miles and have grown very fond of it, indeed it's the first bike I've had that's earned a name - Mabel - so I feel well qualified to comment. So, worst first: The worst thing about this bike is the seat, which is thin, hard and remarkably uncomfortable. Perhaps my 100kg and 6’2” frame doesn't help but, really, 10 mins before getting a numb bottom is not acceptable. 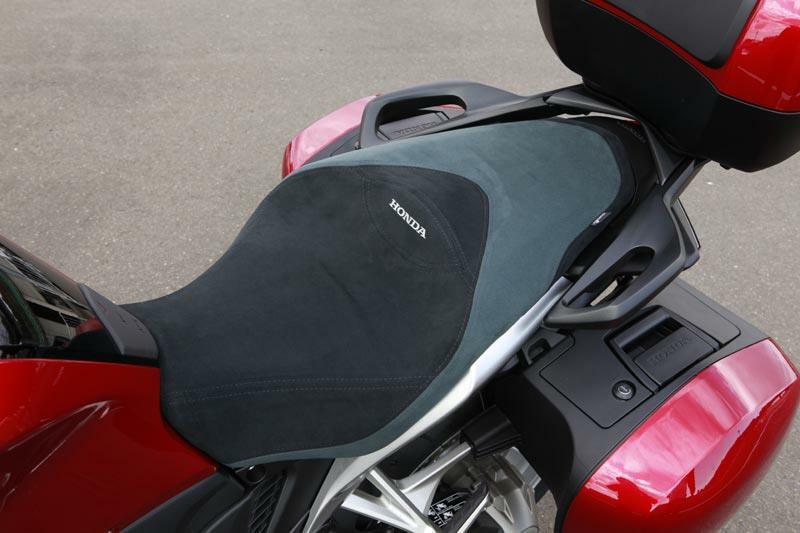 Fortunately £300 at Custom Motorcycle Seats magically transforms it into a relaxing, all day comfortable sofa, that makes you sigh as you settle yourself onto it. Looks better too. The 18.5 litre fuel tank is irritating. My previous bike was a VFR800 which had similar fuel consumption and a 21 litre tank. It makes a difference with my 100 miles a day commute, the old bike needed filling up every other day but the new one is more like every day and a half. Actually I did get 200 miles out of it once, with some very dull riding and the help of a long stretch of roadworks with 50mph average speed cameras. I'm not doing that again. More reasonable commuting/touring riding gets 10 miles per litre, so 185 miles a tank. Also irritating is the decision to swap the horn and indicator switches round. You get used to it (until you get on another bike) but someone needs a bit of a slap for that one. It's heavy, so can be a struggle to push round and you don’t want to be dropping it. That weight falls away when riding, for a hefty girl Mabel is respectably nimble with a slim waist and made the (similarly heavy) Triumph Sprint GT I tested at the same time feel a bit of a barge. Equipment levels are poor. Features absent from my bike include cruise control, traction control, computer, selectable riding modes, flashy colour dash, heated grips, centre stand, quickshifter, LED head and tail lights, adjustable screen. I feel slightly short changed, but if I was that fussed I could retrofit some of this stuff or upgrade to a later model. Not having it means less to go wrong as the bike ages and there's an argument that things like riding modes are not required on a properly engineered bike. You do get ABS, shaft drive and the feeling that the development budget was spent on getting the mechanicals right rather than the electronic fripperies. It seems odd that Honda went to the expense of the shaft drive - which clearly says 'touring’ - and then didn't fit other touring accessories like cruise control, as if the development team wasn't properly coordinated. I reckon that if Honda had given it chain drive - making it lighter - and spent the saving on more equipment (and a bigger fuel tank) then the bike would have been much better received. I appreciate the maintenance savings of the shaft drive but I'm not entirely sure it's worth the extra weight and there was a recall on it. Dobles told me it was all fixed but a subsequent magazine article suggested a permanent solution was still in the pipeline so I'm keeping an eye on it. It's worked faultlessly so far. Mine did come with Honda 29 litre panniers which are solid and waterproof if a bit oddly shaped to get round the exhaust and swingarm. One of them fits a helmet with a bit of persuasion. Honda top boxes are small so I fitted a 56 litre Givi one which comfortably takes 2 helmets. I also got a hugger to protect the rear shock and remote preload adjuster, which may be helping prevent it seizing, a common problem. I've added a Rider420 satnav which, as well as being invaluable when touring and showing traffic news, made me realise that the speedo overreads by nearly 10%. The riding position gets some criticism but it suits me well. You do reach forward to the bars but I find that stretches out my back nicely and cancels out a day slumped in front of a computer screen. Bikes with more upright riding positions tend to make me slouch. On the open road there's little weight on my wrists, though long periods at low speeds through traffic do get uncomfortable. The pegs are fairly high, I stop every 1.5-2 hours to stretch my legs. My other half sometimes rides pillion and is very happy back there. The standard screen works so well I've not bothered with the touring version. Servicing costs can be high. My last one included a new brake disc (£235), spark plugs (£90, only needed at 32k), both tyres (Bridgestones £265) plus quite a bit of labour as that bodywork doesn't come off too easily and the bike is generally cramped to work on. If you dropped it repair costs to all the (intricate and beautifully finished) plastic would be significant. The service schedule includes many expensive valve clearance checks which my (non Honda) garage assures me are mostly unnecessary. So far so good on that. On the plus side, service intervals are 8000 miles, tyres last just about that long, there's no chain/sprockets, fuel economy is fine and insurance surprisingly cheap - mine was £170 this year. Ride quality is decent, the only adjustment I make to the suspension is to up the rear preload when I've got a pillion. If I've got it set too high the bike can weave under low speed braking, backing off a couple of clicks stops this. The suspension can struggle a bit at speed down bumpy country lanes. There's a lot of weight to control, you just have to back off a little and accept it's not that sort of bike. Brakes and gear change are confidence inspiring in an unobtrusive way, controlling a rapid and heavy motorcycle without fuss. I've never had cause to trouble the ABS. Build quality is even more Honda than usual. Unfortunately you get used to it after a while but, getting back on Mabel after riding something else, she feels sumptuously well engineered. Reliability has been good, just the consumables you might expect plus a brake disc. So, to the best bit. Performance is very strong. In fact, in the real world, these bikes are as fast as anything out there. The engine is an understated masterpiece, smooth, makes a great noise and has a decent top end but it's the wall of torque lower down the rev range that make it so potent. You can be in the wrong gear, not paying proper attention and badly positioned on the road but, come a gap in the traffic, just twist the throttle and none of that matters. Helping this is a very stable chassis, there's no twitchy cornering, wheelying or wheelspin and the bodywork manages the airflow superbly to make high speeds effortless. Two examples: A few weeks ago I was filtering through traffic on a roundabout on my way home from work when a sports bike with a loud, meaty exhaust started following me. He was getting very close, blipping the throttle, clearly not happy to have an aging sports tourer with a top box in his way. As we cleared the roundabout there was a bit of a gap in the oncoming traffic and we leapt forward, the sports bike a fraction of a second back. It wasn't a large gap but as we tucked back in I checked the mirrors and Mabel had put 50 yards on him. Another gap, another 50 yards. We carried on like this down the road, I smirked as he got smaller in the mirrors, gave Mabel a pat and told her what a good girl she was. Another time, riding to work I was following a Hayabusa down some busy A roads. He was riding quickly and well, using the power of the Suzuki to blat past lines of cars, ducking back in for corners and oncoming traffic. We - that is Mabel and I - followed and found to my surprise that we didn't have to try too hard to keep up, rarely changing down or even using full throttle. Now, Mabel is not going to get near a sports bike round a circuit where you're always in your power band and lightness and agility really count. Similarly, given enough space to use it's power and aerodynamics a Hayabusa is going to thunder away, but those circumstances don't really occur on the road. Here Mabel’s accessible torque, confidence inspiring stability and comfy, practical riding position make her as fast as any of them. So, as you might have gathered, this bike suits me very well. It's not perfect but the plus points easily outweigh the negatives which is really what matters. Mabel's a keeper and, hopefully, with that Honda build quality will last me another 10 years. Just as well as, with the demise of the sports/tourer class, I'm not sure what else I'd get. Maybe in 10 years I'll be OK with something more upright, say one of those trendy adventure/sports things? Superb all round bike, best bike you will buy second hand. I would recommend this bike to anyone that is a sensible rider that enjoys riding in all weather. You can be seen on this bike and heard. Wet weather driving is a joy as the weight and stability it gives in the wet can't be over looked. Side winds over bridges are no longer a worry as the bike sticks to the road and give you lots of confidence. Power when needed and very tame when not. The engine is so powerful, the need for gears 3 to 6 seem very waste full. The engine can do anything gets you in and out of trouble with no effort. You quickly forget you are on a big bike. I am a large bloke but this bike make you feel quite small as it pulls with no effort or drama. Honda need I say more. No more oiling chain after wet riding and long trips. 16000 mile service made me sweat at the dealers. As standard not much but you really do not need it the suspension adjustment allows you to quickly modify your ride without taking you gloves of. Abs is super. Braking it wet conditions is not a voyage of discovery anymore just put the anchors on and it just stops. Bought from dealer, this was a good buy and already looking for the new 1200 VFR to upgrade to. Don't knock it 'til you've tried it! The best thing about this bike is undoubtedly the engine. It's fast, comfortable, refined and has an air of quality - a true Gentlemens' Express. Shaft drive gets rid of chain maintenance worries. Yes, the fuel range could be better and it is too expensive new, but they last well and a used model can be very good value. I bought my bike second hand and it came with a Scorpion end can as well as the original. Interestingly I found that I can get another 30 miles from a tankful with the can fitted. Would I recommend one? I would definitely recommend trying one out if you are in the market for a fast sports tourer - you may be pleasantly surprised. I haven't ridden one, but a post 2012 model with TC is probably the best bet. 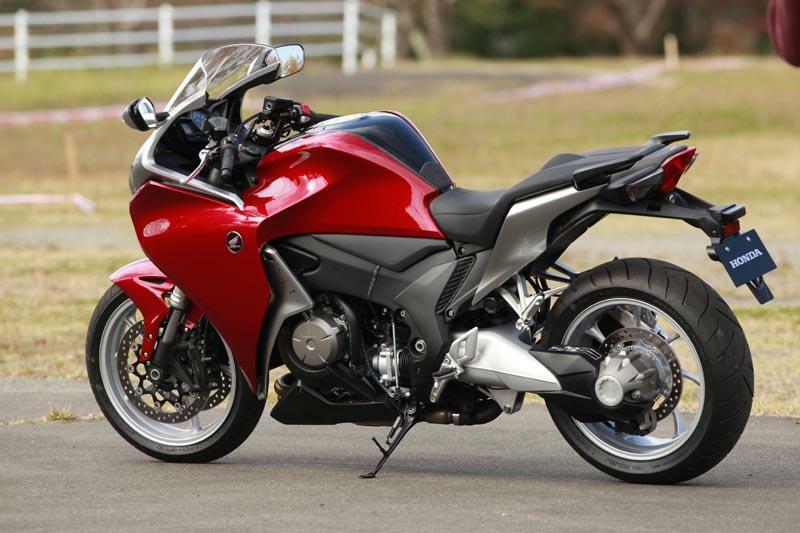 Bikes I have tried in the search for a replacement (with a more upright riding position) have so far included both a BMW R1200RS (competent) and an S1000XR (manically competent). In my view, even the latter struggles to match the VFR for accessible mid range punch though. The bars are a bit too far forward for me, putting a strain on my wrists - even with Heli raised bars fitted. But that's just me - the riding position is not extreme. I am 5'8" and the seat height is just fine. If I was keeping it I would spend some money on the suspension as after 30k miles it is probably past its best. Brakes are effective, and linked system is not intrusive. I prefer the ride set on the soft side to cope better with poor quality UK roads. The bike is reassuringly stable at speed on good quality roads - potholed urban roads are not its natural habitat. Mine came fitted with an aftermarket "comfort" seat; I have heard that the standard one is not great. My wife finds the pillion comfort very good. The engine is a peach. Lovely spread of torque with power instantly on tap and building linearly with the revs. It also sounds great - like a bear disturbed from hibernation at first, building to a snarl as the revs build. 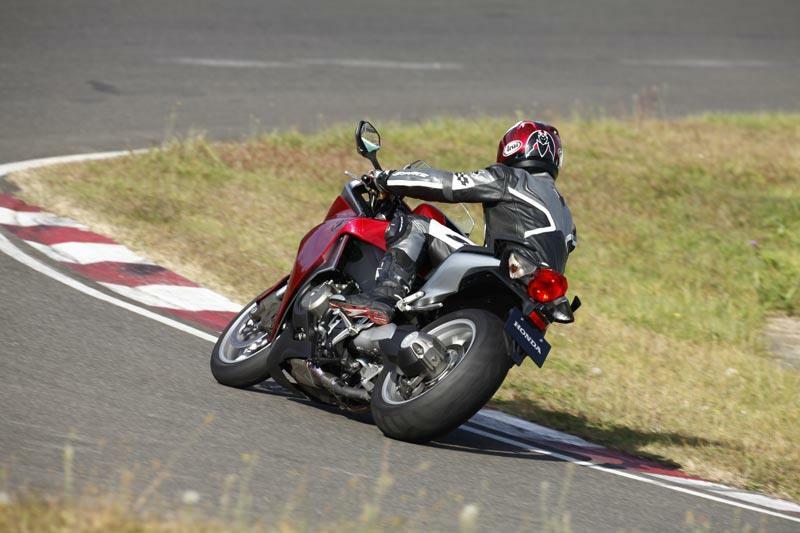 Although it is fast, the progressive power delivery makes it much more comfortable for a pillion, and it is not so obvious that you are "going for it" in the way that a peakier in-line four tends to be. Addition of a pillion hardly affects performance. No mechanical problems. Banjo bolts are corroding on the front calipers and the lacquer has worn off the footpeg heel plates. Horn would be unsatisfactory on a 50cc scooter - on a 150mph rocket ship it is derisory. That seems par for the course on Japanese bikes though. Service intervals are 8,000 miles which corresponds to about 18 months of use for me (my wife and I having 3 cars and 3 bikes between us), hence servicing costs are fairly low. Very basic equipment for the price. As far as rider aids go, you get ABS, and that's it (later bikes get traction control as well). You get a fuel gauge (but no range or "miles-into-reserve" indication), gear selection indicator, clock, two trips and air temperature reading (MCN please note) but no trip computer as such and no selectable rider modes. There is an analogue tacho. Speed is displayed digitally, which I have come to prefer - and is easy to switch to kph for continental touring. As well as the Heli bars and the comfort seat, mine is fitted with the optional touring screen and wind deflectors. I also have the Honda panniers, which clip easily onto the bike with no requirement for additional mounting frames, and lock with the ignition key - very neat. In contrast to what I have read in other reviews, I can get a full face helmet in each pannier (even the right-hand one which is smaller to clear the exhaust). The trick is to sit the helmet in the lid of the pannier, then shut it. The colour coded lids scratch easily though - you have to be careful with them, which is not always easy - on or off the bike. I bought this bike almost on a whim. I liked the look of it, was blown away by the test ride, and thought what the hell - I can always change it after a few months if I don't get on with it. Still enjoying it 3-1/2 years later. Purchased from a dealer in September 2012 for £7250, part-exing my 2007 Fazer FZ1S. Simples - if you have the cash. With a couple modifications, this bike is damned near perfect. The styling is polarising - I get that. But upon seeing it in person, it was love at first sight. It's a big, heavy bike that is difficult to move around in a garage, but once you are above 5 mph it feels like an 800 cc machine. The engine is an absolute gem - with more power than I know what to do with. I miss the howl of my old VFR, but the right after-market exhaust should take care of that. The gas tank should be a couple litres bigger, but that's not a huge consideration for me. It's powerful, comfortable and it can stop on a dime. Hit the throttle at 75 mph and the bike acts like it wants to go supersonic. The fit and finish are as good as anything in the industry. I haven't had this bike for an entire year. I've spent just over $200 on fuel... the bike has averaged 36.9 mpg (I keep track of that stuff with an app on my phone). That measure of fuel economy isn't particularly good IMO, especially give the smallish tank. But it's not my primary means of transportation, so it's not that big of a deal. I love the stock bike, but it is improved by an aftermarket exhaust (the stock is a monstrosity - with a valve that opens. improving flow at higher rpms. What's the point of that?). Also the bike appears to be hobbled at the factory: The top speed is governed (not that I care too much about going 200 mph) and it can be sluggish in first and second. A re-flash takes care of this, putting it in Hayabusa/ZX-14 territory (only more comfortable and more well refined). The matching hard bags offered for this machine are too damned expensive. I'll get around to buying them someday, but the exhaust and re-flash were more important to me. 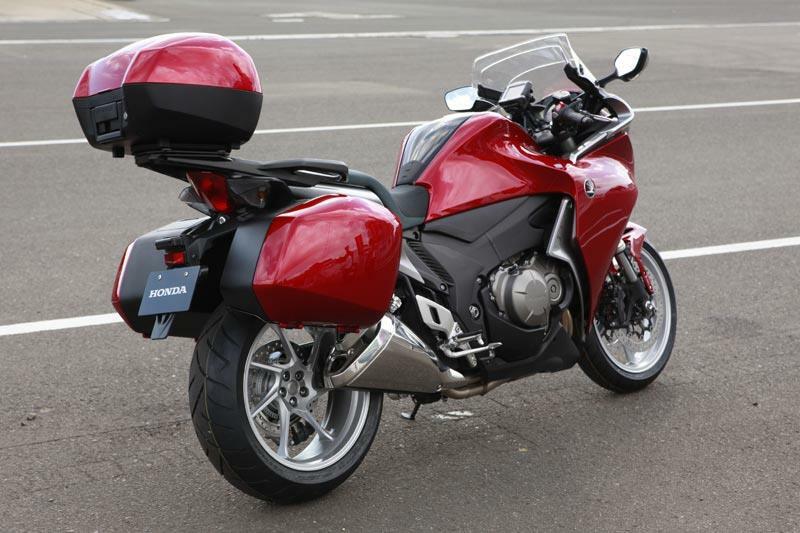 For what the original MSRP was for this bike, hard bags should have been included. Also - I wish it monitored tire pressure. I'm really OCD about that. I bought this bike brand spanking new at an extremely reduced price. It seems the market never understood this bike and it never took off in my part of the world. It blows my mind... I guess the plus side is that I have something unique. Have owned my VFR1200 for a year and done 12,0000miles, including a trip around the Alps. Awesome engine, fast, stable, handles well for a heavy bike, classy integrated luggage, good brakes, takes a pillion with little change in performance - overall a great bike. Little is said about the fairing's ability to duct heat away but in the summer this is a revelation - my mate's ZZR14 is like sitting on an Aga oven by comparison! Downsides - can't get away from the excessive weight and poor tank range, also the wind blast is surprisingly bad. Shaft drive is convenient but I find it snatches and I'm not sure it is worth the weight it undoubtedly adds. Not an easy bike to work on - just try getting the fairing off. And lastly nice legs, shame about the face - looks great from the rear but the front is never going to set the pulse racing. I owned a VFR750 (97) for many years and miles - a fantastic bike let down by dreadful brakes (Blade, Firestorm and CBR600 all had better brakes at the time). I agree with the comparison to an AMG Mercedes - fast, smooth, stable. Brakes a huge leap forward from my old VFR750. Typical Honda build quality. Have had issues with brake calipers sticking in winter. Fuel consumption reflects bike weight and power so not too bad - just a shame it's not a 22 litre tank. I don't like lots of electronic gadgets and settings so the VFR suits me; it has the important stuff covered and it's all presented well. I hate the indicator/horn arrangement - what were they thinking? 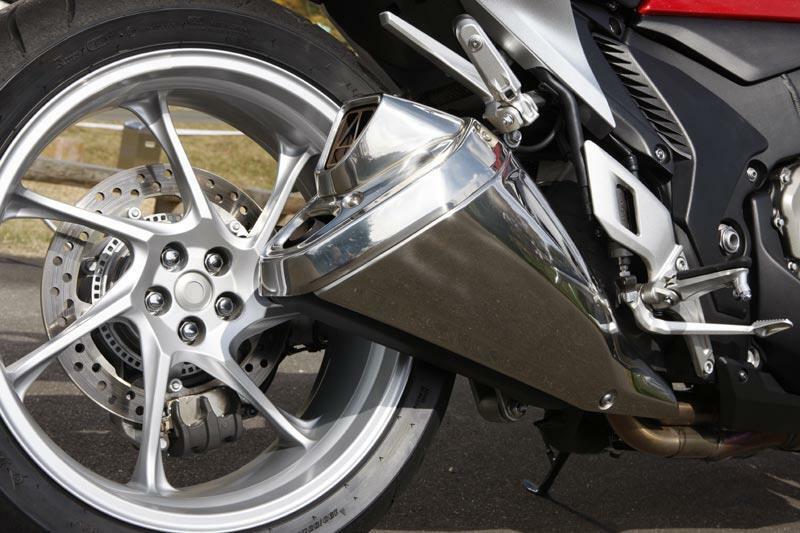 good when they are working, brakes seize when the bike is parked after riding it in poor weather and if it is put away wet after washing it the right front brake disc warps in the dish type manner, no pulse on the lever but causes the pads to push away from the disc. 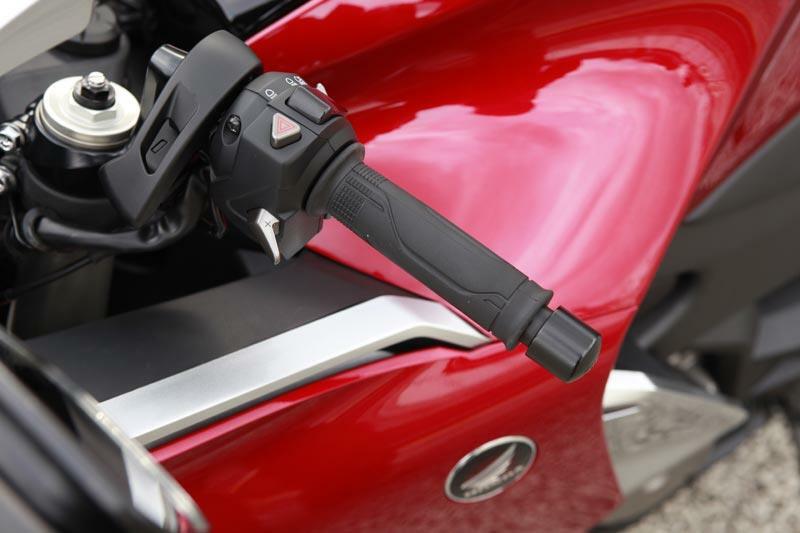 symptoms are a soft brake lever or no lever pressure at all. Sorry to all you who like this bike, but this is my honest opinion after a 4 hour test ride on a 2010 model with 5800 miles clocked. I wanted to like this bike having had a pre-vetec 800, but it didn't make me want one. I found the fly by wire throttle very snatchy when in town; almost switchlike when opened from a closed position after using engine braking. When the momentum of the bike was added on the open road, this snatching disappeared and the bike came into its own; very enjoyable. It felt smooth, torquey and planted, carrying its weight well on A roads. The brakes were strong and progressive and the suspension coped with my 12stone admirably. The instruments were adequate but fell short of what you would expect on a flagship model of this money. The build quality of the bike was very Honda and hard to fault with paint that looked amazing (wouldn't want the bill if it got damaged though) It's the detail for the money that lets it down. The luggage should be at least able to take 2 helmets, but the top box was the only place to take one. The locks and handles on the luggage do feel top drawer though. The tank range is unacceptable for a tourer, sports or not, and would mean careful consideration given to petrol station locations when touring. For a 12K bike, I think charging a centre stand as an extra is taking the p--s a bit. I didn't get the vibration from the tank others have mentioned and found the bike very comfortable for my 5'8" frame. I could also get both feet down, which felt safe and secure when stopped. I would also be interested to know what the servicing costs would be on such a high tec motor. Hopefully Honda will listen to feeback and address some of these issues. If they do, this bike could be brilliant. The fact that the 18 month old model I tested is looking for its 3rd owner tells you something I think. Don't read about it, test ride it! I have owned lots of bikes over 20yrs of riding. I wanted a powerful bike with a quality feel & ideally shaft drive - this bike is the AMG Mercedes of the bike world. Super high quality fit & finish. A nice modern design and very high performance should you need it. I tried all the BMW's thinking I wanted one (incl k1300) but this bike made a big impression on me when I took it for a test ride. I used to own a VFR VTEC which I didn't like because of its weedy mid range. The VFR1200 is the opposite - it has absolutely loads of low and mid range grunt which translates into very rapid (and smooth) progress. It may not have a crazy top end rush but I don't ride like that anyway so I wont miss it. Take my advice and test ride this fantastic, top quality bike! You can read all the reports and tests in the world but there's no substitute for a test ride. I have owned my vfr 1200 for 6 months its comfy easy to ride very well made quality parts no gimmicks have put 3200 miles on it will never sell it I owned a P reg VFR 750 wished I still had it but my new VFR is better have owned a gtr 1400 2010 model vfr runs circles round it no contest ave miles per tank is 150 miles with 3.5liters to spare when low fuel light comes on I have no problem with indicator postion or horn button not caused me any problems this is the best bike I have ever owned I would strongly recommend it to all your readers well done Mr Honda ! I have seen on many youtube reviews and all comment on how nimble this is for a 270kg bike. I agree 100%.I had a Sprint GT before my VFR and I can tell you this bike is much more fun and rideable. Had quick test ride on one.Having owned a 97 vfr750 and a pre v-tec vfr800 in the past I was just curious about the engine. The bike only felt heavy parking up.It was more of a sporty riding position than expected.Dealer said a customer had bar risers fitted.Once you get going though the engines great,Smooth fast with lots of torque.I didnt notice the brakes, clutch or gear changes because they all worked well without complaint.Unlike the indicator switch under the horn.Poor mpg/range?.For the engine its worth it.The dream bike would be 750 with 800 clocks and 1200 engine,but in reality a used one in silver with mra screen,top box,centre stand,bar risers,and a slip on exhaust short enough to show that great looking rear wheel. I ride an '03 vfr800, a bike widely reviled for its VTEC. But the bike is hugely tractable, built and engineered to the highest standards (FAR beyond a contemporary BMW) and rides like a Rolls-Royce on the interstate. Open up the motor and you have a MOTOGP engine. This new VFR120 has one huge flaw: poor MPG/no range. 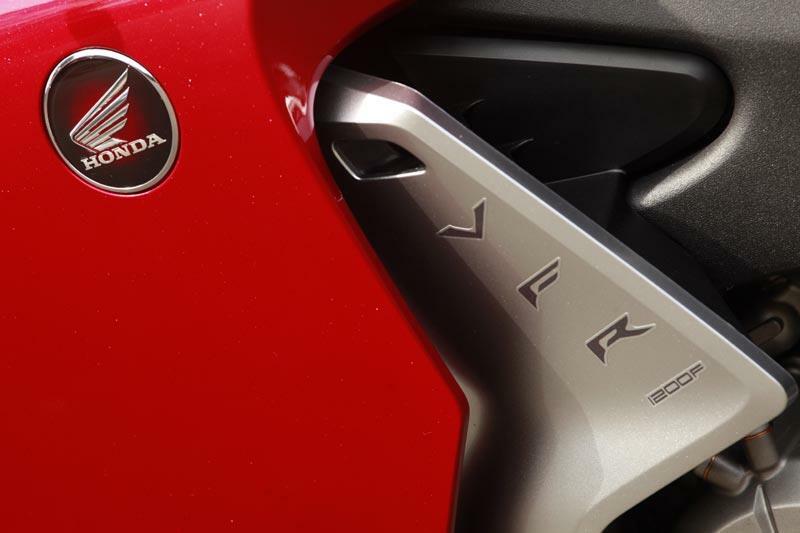 Honda could have upped the range and MPG with VTEC valve shutoff but no one wanted it. If you want 1200CC and 170HP and limitless torque, the bike will have no range. The VTEC critics undermined this engineering marvel. WHAT A BIKE, DON T LISTEN TO THE MEDIA, Its crazy fast and stable, It sounds like a spitfire on acid above 6000rpm. This hits so many buttons, Busa Boyz can keep up with on our roads, ZZR Lads also. IT ROCKS! Ride one and I guarantee you will think what the f%$k are they on about! I have bought one and I have owned ZX10R 06 SP2 05, Ducati 749R AND BELIEVE ME IT BEATS EM ALL HANDS DOWN. Riding for 15 years. I ain t paid to say this by Honda either. You will see VFR's everywhere once people jump on them for themselves! 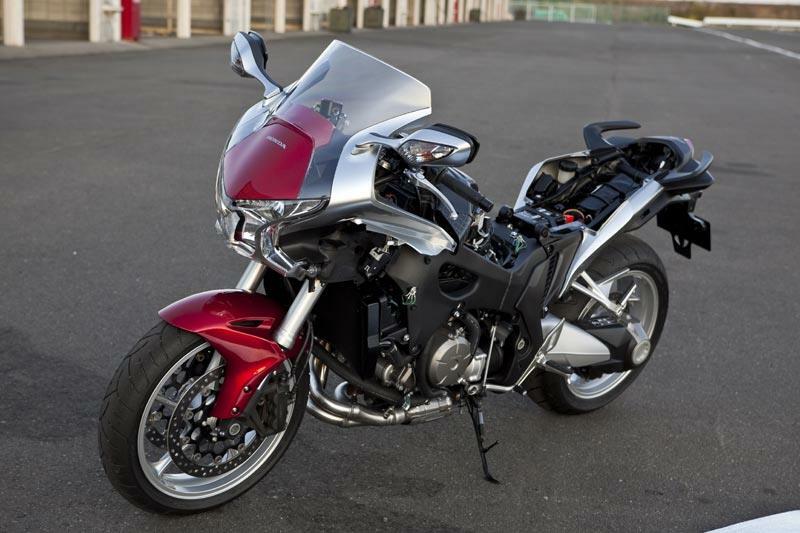 Hayabusa nearly bought prior to riding VFR in comparison Busa is so one track minded. After a good hour on the bike this afternoon (launch day), I feel some of the reviews are a bit harsh, particularly the gearshifts which are the best I've experienced. It is incredibly well balanced and the engine is outstanding - plenty of torque and endless performance if you want to push it. The engineering is superb, and it certainly attracts attention (took 10 minutes to get out of the petrol station with all the gawping onlookers!). Main criticisms are lack of toys (BMW trip computer has significantly more information and functionality) and excessive pricing (including options - low seat is FOC with BMW). The biggest failing is the lack of pannier space - neither holds a helmet, which is a big failing for such a high priced option. I'll have to try the K1300S to see how it compares.